Friday June 9th, 2017 – NYC Summer Midnight Yacht Party at Skyport Marinas Jewel Yacht located at East 23rd st & FDR Drive 10010 NY Music by NYC Hottest Djs! Tickets 20$! Boarding 11:45pm, Sailing at Midnight! 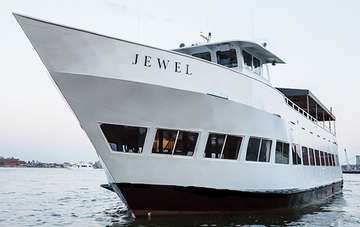 The Only Summer Boat cruise to be this in NYC...Jewel Yacht! YACHT PARTIES IN NY - NY'S HOTTEST – YACHT NIGHT PARTY NYC SUMMER MIDNIGHT CRUISE! NYC SUMMER MIDNIGHT BOAT PARTY! 1 DAY - 1 EXCLUSIVE EVENT! MUSIC BY NYC HOTTEST DJS AT SKYPORT MARINA JEWEL YACHT PARTY, NEW YORK!! (highly recommend getting there at 10:00pm to avoid long lines & confusion), Sails at Midnight. Boat Returns at approximately 4am. Drinks Bar on Board. 2 Floors playing Top 40, Hip Hop, Reggea, Latin, House/EDM & more! NYC SUMMER MIDNIGHT BOAT PARTY AT THE JEWEL YACHT AT SKYPORT MARINA!